We often talk about how important time tracking is for freelancers working on Hourly projects. Aside from fostering transparency between freelancers and their employers, time tracking also prevents accumulating unpaid hours. You can track your time with the Freelancer Desktop App, but there could be times you’re in a rush to finish something that you forget to log in to the app. Even worse, your job might involve working away from the computer. If this ever happens to you, there’s no need to worry anymore. Those hours you weren’t able to track with the app won’t be put to waste because manual time tracking is now available! You now have the option to manually log your worked hours with the Manual Time Tracking feature, which you can see in your project view page. These hours will then be paid out each week along with app-tracked hours on projects where automatic billing is enabled. A separate manual invoice won’t be necessary for the hours spent working that were not tracked with the app. This feature is also relevant for those who don’t need screenshots of the tasks they’ve done within the tracked time. 1. Log in to your Freelancer.com account. 2. Under the ‘My Projects’ tab, click on the hourly project you’d like to track time for. 3. Go to the ‘Time Tracker’ tab. 4. Under the ‘Manual Time Tracking’ section, enter the hours you’ve worked. 5. Click the ‘Track Hours’ button. It’s now easy to get paid for your hard work. 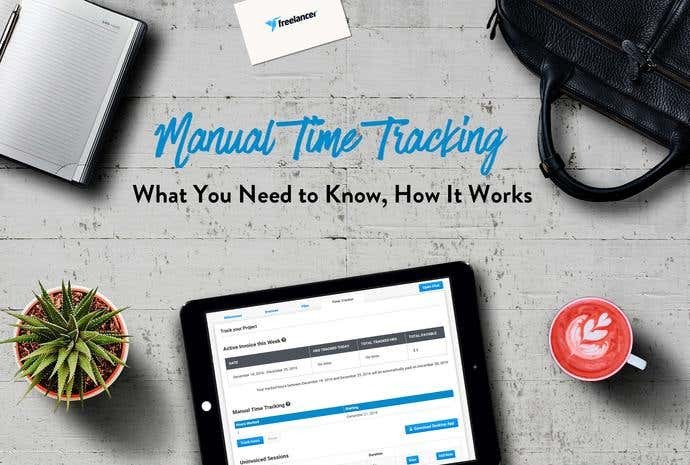 Try the manual time tracking on your next project! 1. Scroll down to ‘Uninvoiced Sessions’ right below the ‘Manual Time Tracking’ section. 2. Click the ‘View’ button on the session you want to hide. 3. 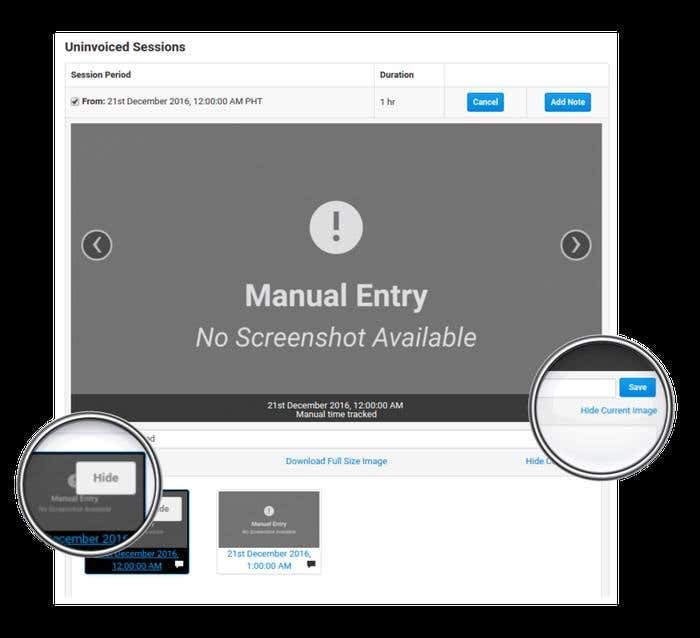 Below the screenshot viewer, click ‘Hide Current Image’ to remove that particular tracked time. Alternatively, you may hover over the screenshot preview and click ‘Hide’. You can see manually tracked time in your project view page. Under the ‘Tracked Time’ section is the weekly and monthly history of your freelancer’s worked hours. Manually tracked hours are displayed with white stripes running through them, and the app-tracked ones are solid. 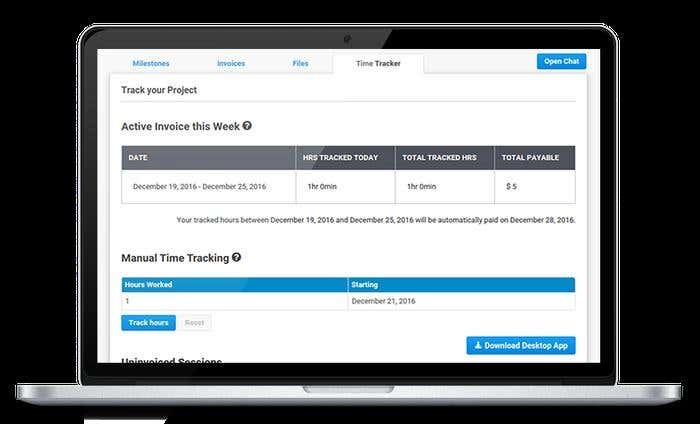 Manual Time Tracking guarantees a smooth payment experience between you and your freelancer. You don’t have to make separate payments for the manually and automatically tracked hours as you will see them all in one invoice. If you have questions or comments regarding this release, feel free to contact us or start a conversation in the comment section below.